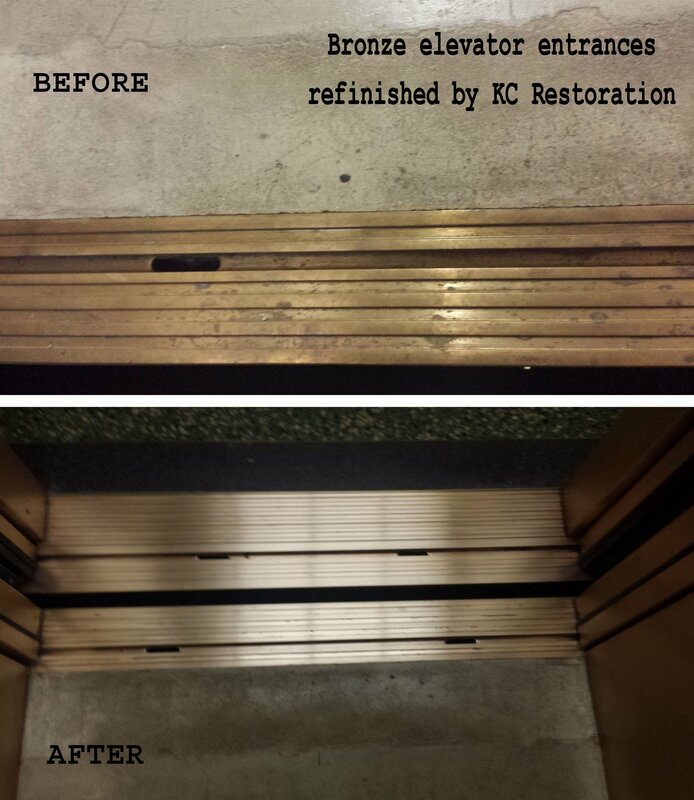 At KC Restoration we want to help your business make a shining first impression by refreshing your metal interiors or exteriors. Check out what we did in Kansas City’s Crossroads Arts District. 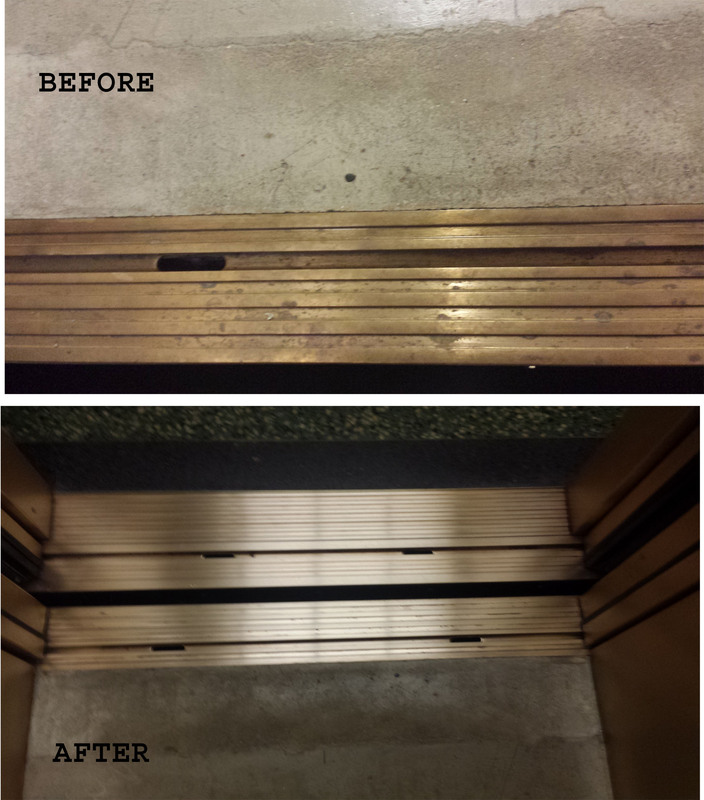 When the Vitagraph Film Exchange Building underwent a large-scale renovation, transforming a historic warehouse into a mixed-use facility housing retail and office space, KC Restoration was selected to refinish the bronze elevators, water fountains, and stair step tread. MC Realty and the building’s owner wanted their historic Art Deco building looking its most beautiful, from the exterior to the elegantly appointed interior. We’re proud to be a part of delivering their shining first impression as this once 1930s film storage building transformed into an environmentally friendly downtown office building. 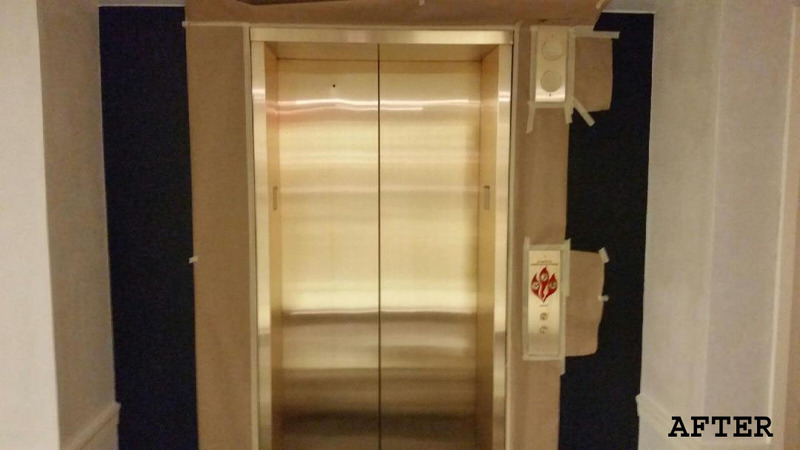 If the metal accenting your building has also become hidden behind years of use or mishaps, contact KC Restoration at (913) 766-2200 to reveal that hidden beauty in your metal interiors or exteriors. 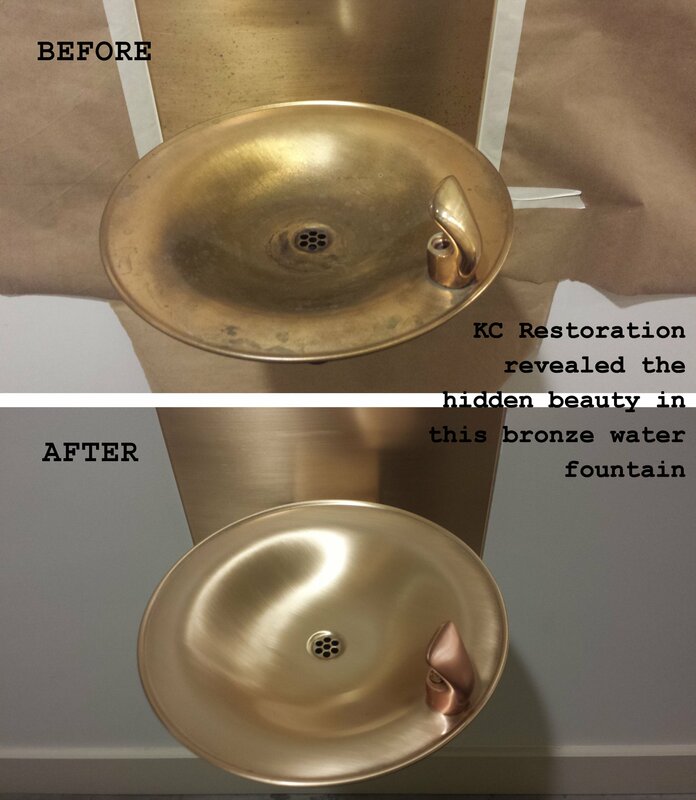 KC Restoration knows that no one wants to take a drink from an eyesore of a water fountain. Yet the metal in water fountains naturally tarnish and dull over time, so property managers inevitably have to deal with this problem. 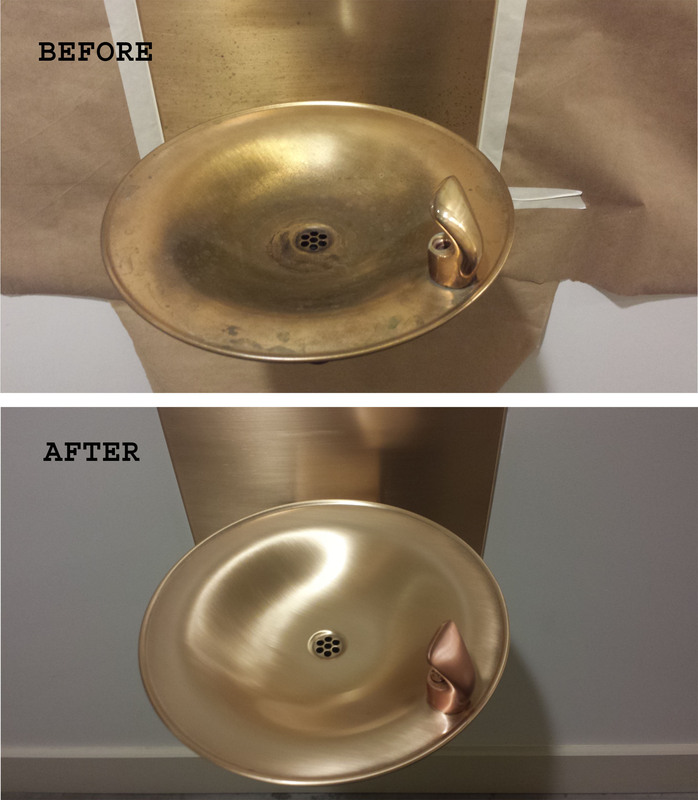 That’s when it is time to call us to restore the gleaming appearance to your water fountains. 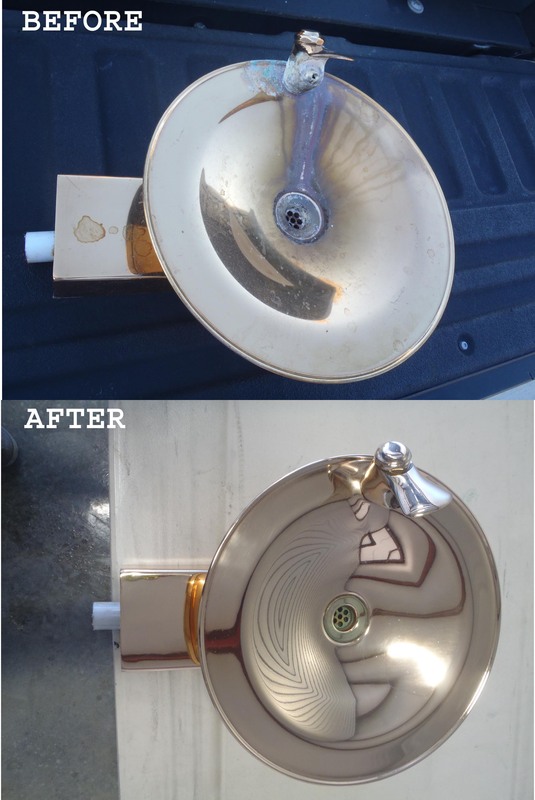 KC Restoration’s expert staff has delivered great results for numerous fountains; we can do the same for yours. Just contact us at (913) 766-2200. Located in Kansas City’s Crossroads Arts District, the Vitagraph Film Exchange Building recently underwent a large-scale renovation, transforming a historic warehouse into a mixed-use facility housing retail and office space. 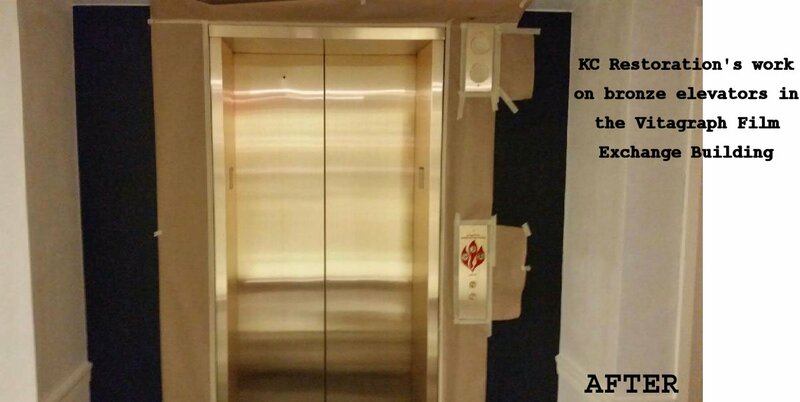 KC Restoration was selected to work in this beautiful historic building, by MC Realty and the building’s owner to refinish the bronze elevators, water fountains, and stair step tread. This historic Art Deco building is beautiful, from the exterior design to the elegantly appointed interior. KC Restoration is proud to be part of the transformation of this once 1930s film storage building to an environmentally friendly downtown office building. We love the revitalization that repurposing a building can have, not only on the businesses it houses, but on the surrounding community.